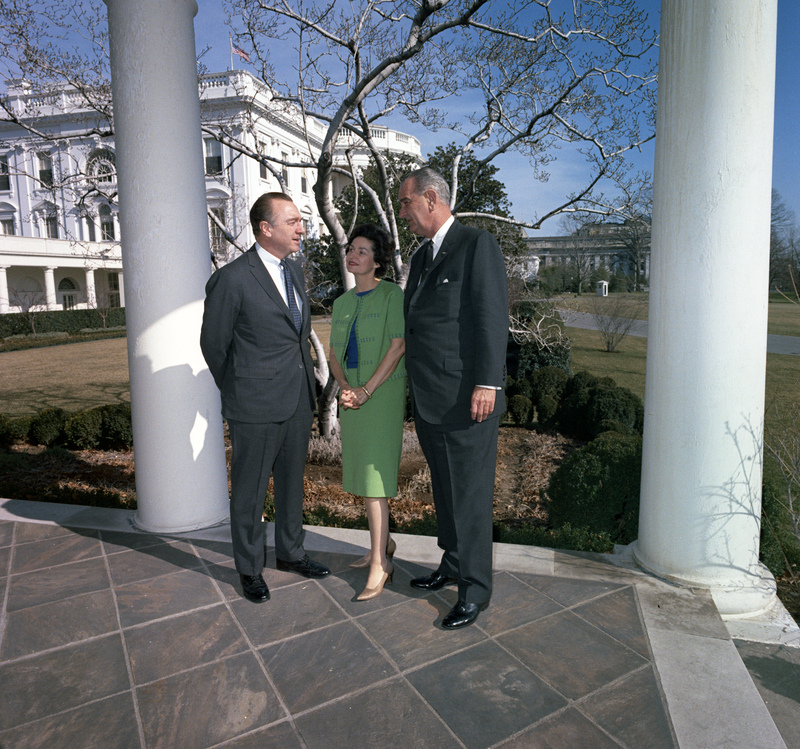 L-R: Walter Cronkite, Lady Bird Johnson, President Lyndon B. Johnson. White House, Washington DC, 2/6/1964. Photo # c61-2-wh64 by Lewis.White House Photo Office collection, LBJ Presidential Library, public domain. LBJ Connection: News anchor, "CBS Evening News," 1962-1981.